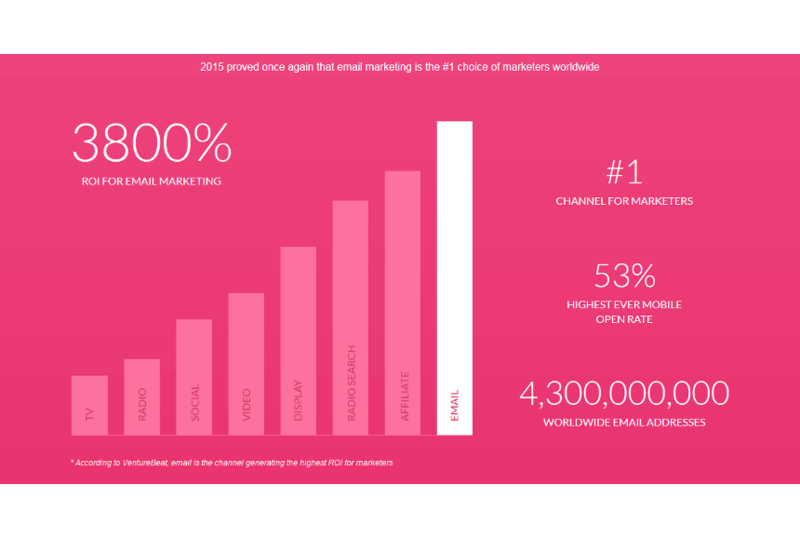 What Happened in Email Marketing in 2015? In 2015 email marketing not only retained its role as the number one channel for marketers, it further strengthened its position. According to the Campaign Monitor, email marketing campaigns have an average 3800% return on investment (ROI) – higher than traditional channels like TV or radio and more modern ones like social media. Also, the majority of opens happen on mobile now (53% to be exact). Mobiles gained a great share for example in South Africa, but opens and engagement benefited from the trend all around the globe. This is very good news if you have already switched to a responsive email editor and already produce mails that look and perform good on all platforms. Though professionals have been saying this for years, it is still a challenge for a lot of marketers. Responsive email design is not as widespread as it should be – Mark Pape, founder of Deep Current actually thinks this was one of the greatest challenges in the past year. In the coming years we are expected to see a great number of smartwatches flooding the market – and this will also mean that we will have to face new challenges. The smartwatch is an entirely different platform than those we know. Emails display only text there, but most of the mails will likely still be opened on the iPhone connected to them – as there is very limited display space. So email marketers will have to put a greater emphasis on writing short but killer subject lines, headlines, CTAs to get recipients’ attention. Smartwatches also make tracking problematic and text-only email versions necessary. Currently we don’t really know how many people use their smartwatches for checking their email, and it is still a device that is only entering the market – in 2016 we will likely see more data and more solutions to these emerging problems. 2015 saw the emergence of dynamic content integrated into email. It is nothing new, but still not a widespread solution. Some professionals demonstrated spectacular techniques like including a live twitter feed or even small games in emails. It would be a very important step for email marketing to start using dynamic content. Email of course, as we have seen it, is still very far from being dead or obsolete, but this would definitely refresh the user experience. A little late to the game, but Outlook launched its own smartphone application for Android and iOS in January. It supports divs, animated gifs, displays images by default and in general provides a better experience than other Outlook applications before. Still, the numbers are not looking good for Outlook, at least considering the desktop. Litmus predicts that the desktop version will fall to 5% from 7% in November 2015, and businesses will continue to shift towards more scalable services, like Google Apps. Gmail rolled out a new blocking function in September, which makes it very easy for any recipient to block all emails fromm a certain sender for good, with just a few clicks. This is bad news for those who don’t use segmentation and other techniques aimed at providing the most relevant and interesting offers possible. So, if you want to avoid blocking, you have to use segmentation, personalization. You must send out offers which are relevant and interesting for your recipients, otherwise you will not be able to get through to them. Not even if they may have been good lead for some of your other offers. Email marketing automation is nothing new, but it seems that 2015 may have been the turning point for the market. During this year the number of companies using automation ‘very successfully’ almost doubled compared to 2014, and it is likely that 2016 will see an even wider adoption. The next year will probably see more shopping experiences in email. Smartphones and smartwatches will continue their conquering of the market. New techniques will start to become mainstream like integration of dynamic content. 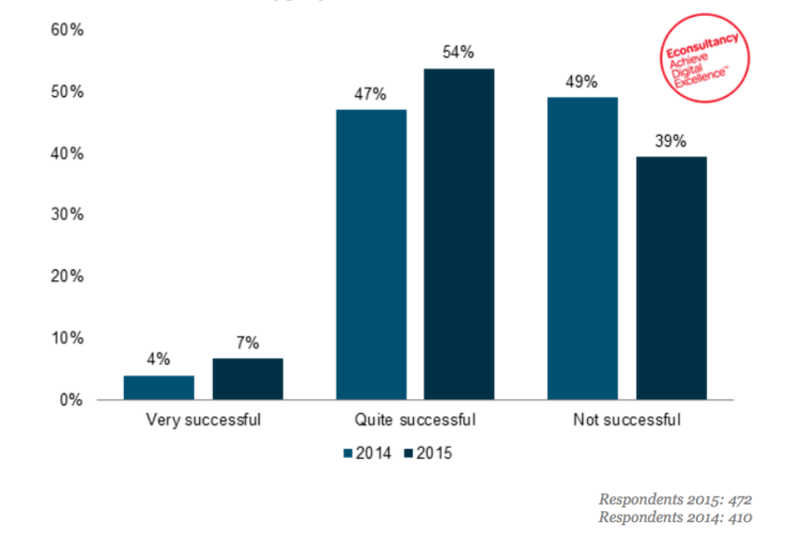 But most importantly: in 2016 email marketing will be likely more important than ever. Email is not only not decline, it will be thriving. If you are still using the same techniques and strategies than a few years ago, now is the time to lose them. Start segmenting your lists, start using a responsive email editor and start thinking about how you can benefit your recipients with your emails. Have a look at our previous blog posts which will guide you through how you can create successful campaigns – and stay with us in 2016, as we will continue to bring you the most important news and best advice!